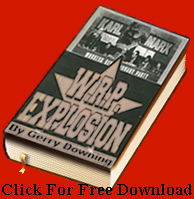 We are approaching the hundredth anniversary of the first, February, Russian Revolution. On International Women’s day 1917 (23 February Russian Julian calendar, 8 March in the west) hungry women struck work and 90,000 marched on the Duma to demand bread and peace, the demoralised army mutinied and in just over a week the Tsar was gone from power. 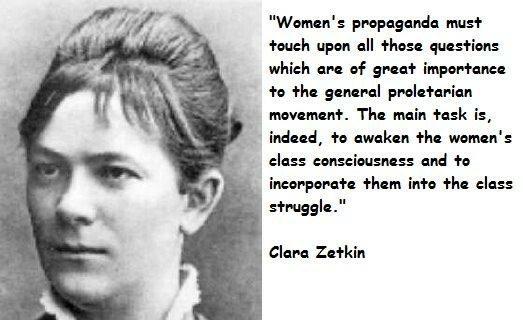 Clara Zetkin spoke powerfully in 1886 at the Gotha Conference, published later as a pamphlet, Only in Conjunction With the Proletarian Woman Will Socialism Be Victorious. Of course, she did not dream of putting women’s oppression in a list that included “class” as merely another form of oppression and not the source of ALL oppression. And the oppression of women is in a certain sense more fundamental to capitalist property relations than all other forms of oppression. Engels explains in The Origin of the Family, Private Property and the State that patriarchy is essential to capitalist property, the laws of inheritance demand the oppression of women, the care of children in the monogamous family is always primarily the woman’s work and without socialised free child care and socialised domestic tasks that is everyone’s responsibility women’s oppression cannot be ended. The capitalist state itself is a reflection and an enforcer of all social oppression resting on capitalist property relations. Coincidentally in googling Zetkin’s reference above to “the law of Electoral Bavaria” (an example of extreme backwardness when the husband is allowed to whip his wife) there appeared the latest news from Bavaria, it is the first German state to propose to ban the wearing of the veil (obviously, a reaction against Muslim migrants) meaning that it is still the most backward region of Germany on these matters! We will leave it to the reader to decide if this 1914 speech is an example of the struggle against the oppression of all women, of proletarian woman, of middle class and professional intellectual woman or of bourgeois women. Or is it an early example of intersectional feminism?